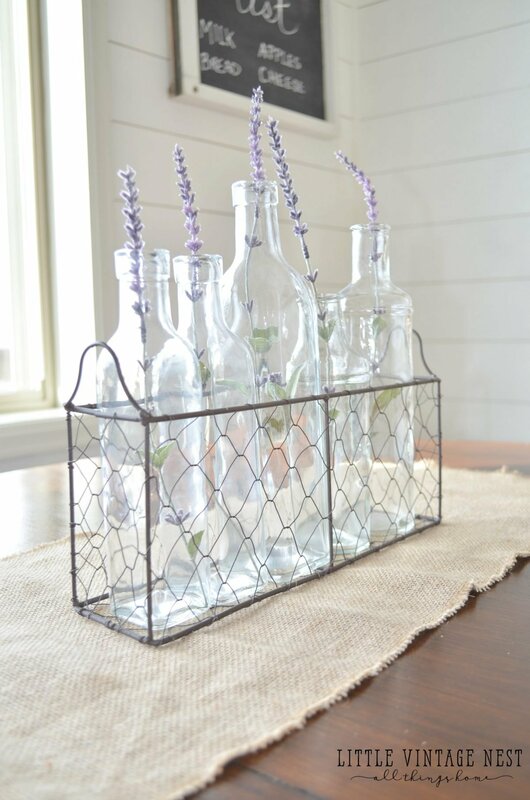 One of my favorite ways to add farmhouse charm to our home is with wire baskets. I just love the simple and clean look and they are so versatile. 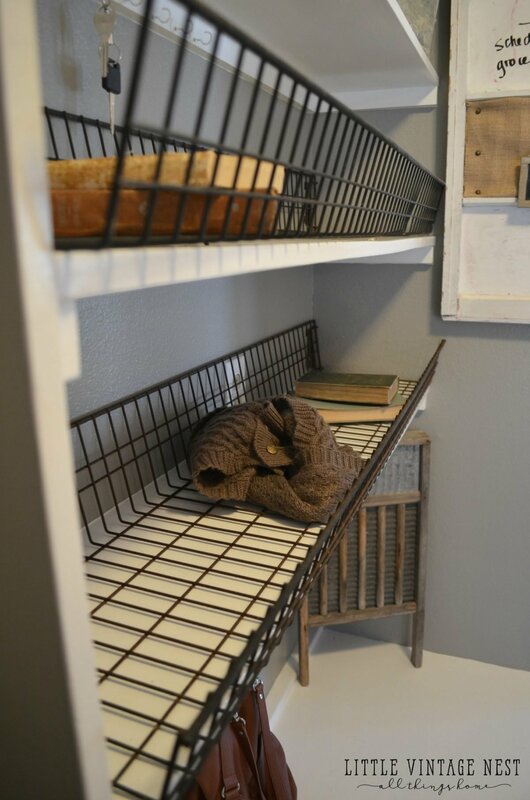 Plus you can hardly watch an episode of Fixer Upper without seeing a wire basket, which is maybe why I’m so obsessed with them. 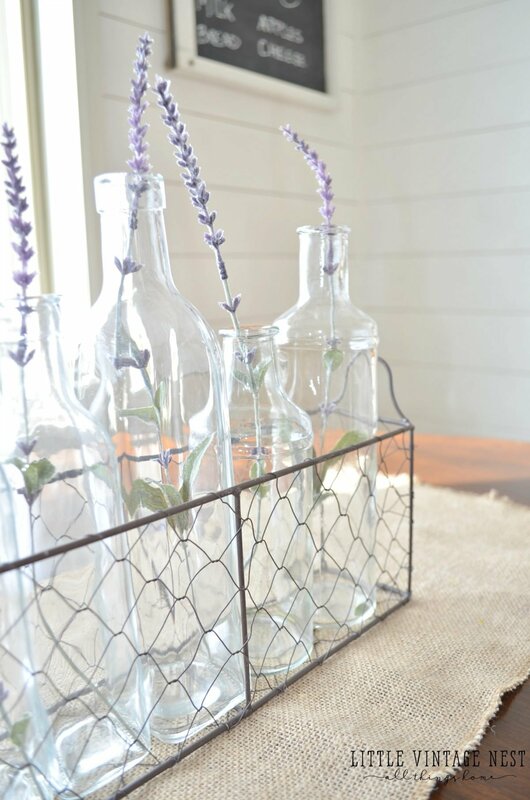 Either way, my house is full of wire baskets so today I wanted to share how I use these little gems in my everyday decor. 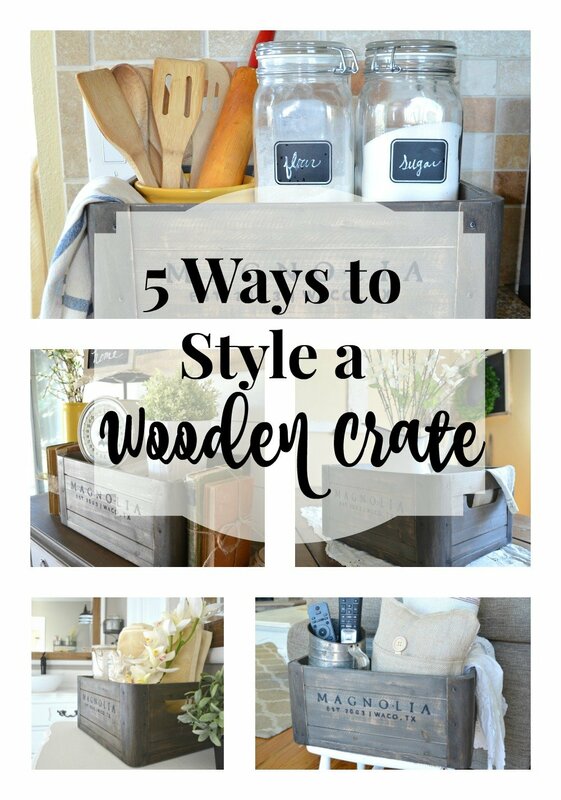 I’m also including a few very similar farmhouse style baskets that are available on Amazon! I found these for a bargain price at Hobby Lobby. 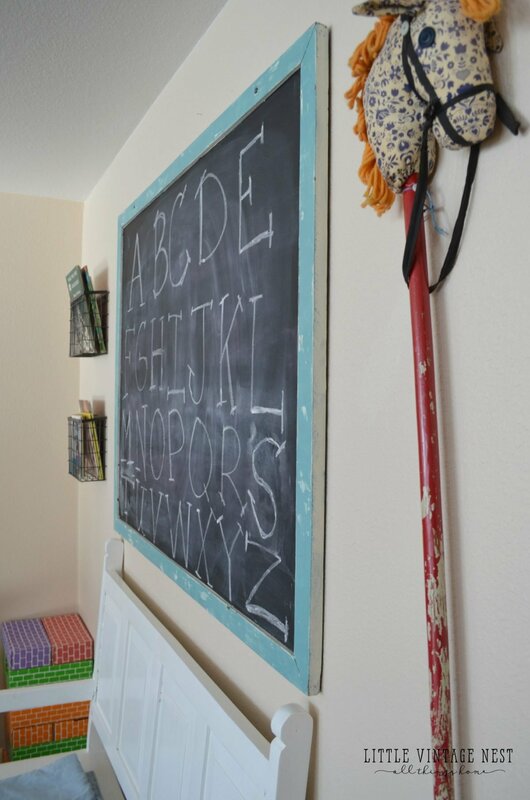 I love how simple and easy they were to hang and it’s fun to switch out the goodies inside from time to time. I also found a slightly smaller set that works perfectly for books in the play area. Amazon has this great country rustic gray basket that is very similar. I found this vintage basket at a local antique show and I loooove it. Plus I got it for $7, but that makes me love it even more. I think it’s perfect hanging on the wall. 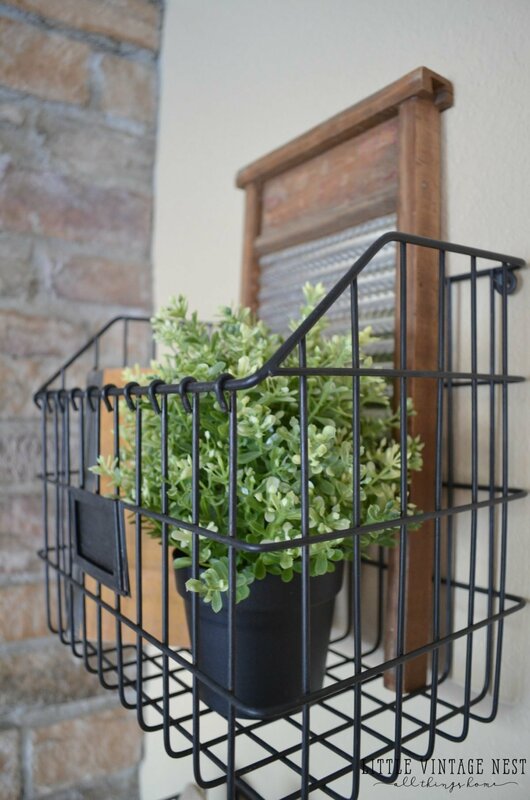 Another good option is this hanging wall pocket wire basket on Amazon. And one last pair of hanging basket in our front entryway. 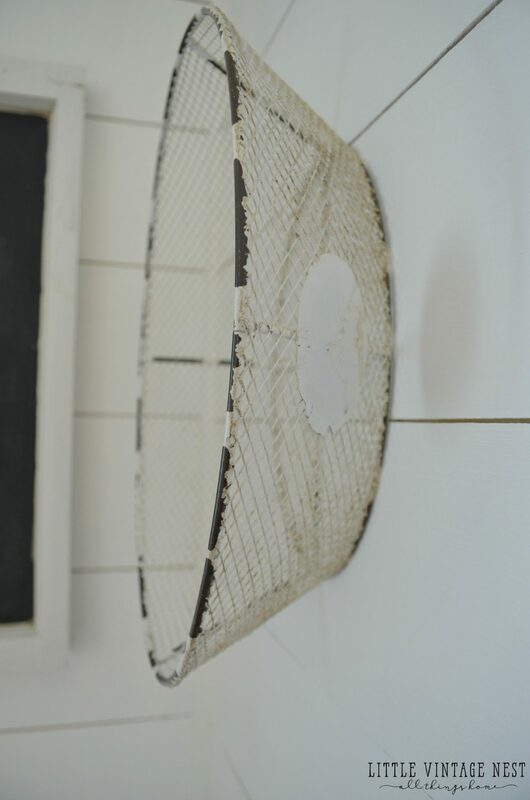 These baskets each had a wire handle, but those made them too rigid to hang. So I removed the handles and used twine to hang them from the coat rack. Easy fix! 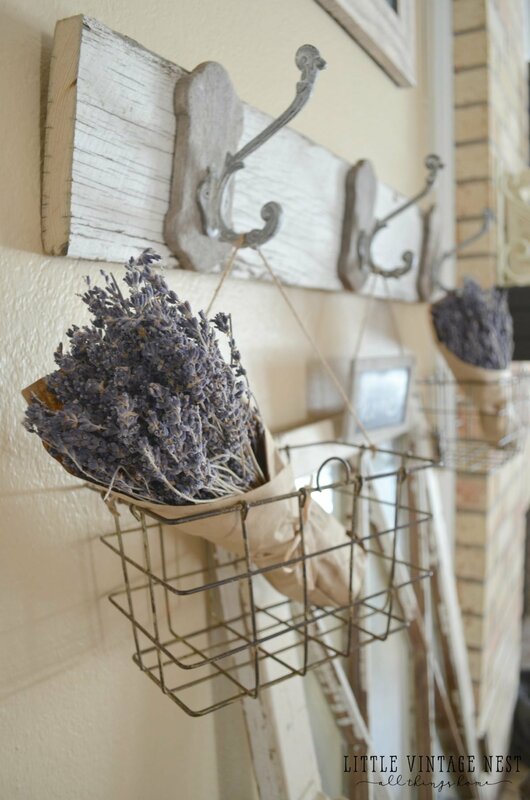 A similar option on Amazon would be these rectangular country style baskets–perfect to hang with a bit of twine! I also have two large baskets in our mudroom. I found these baskets in a pile of junk…Don’t judge me! At the time I had no idea what I would do with them, but I brought them home anyway. 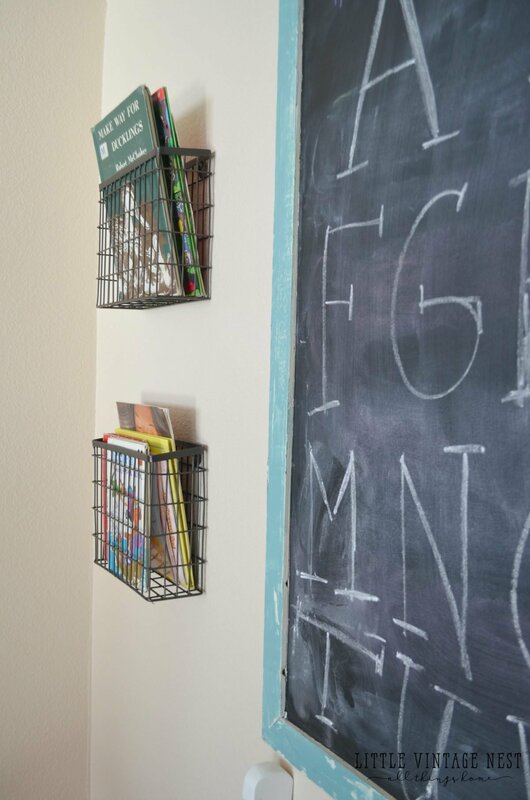 Imagine my surprise when I realized they fit perfectly on the shelves in our mudroom! 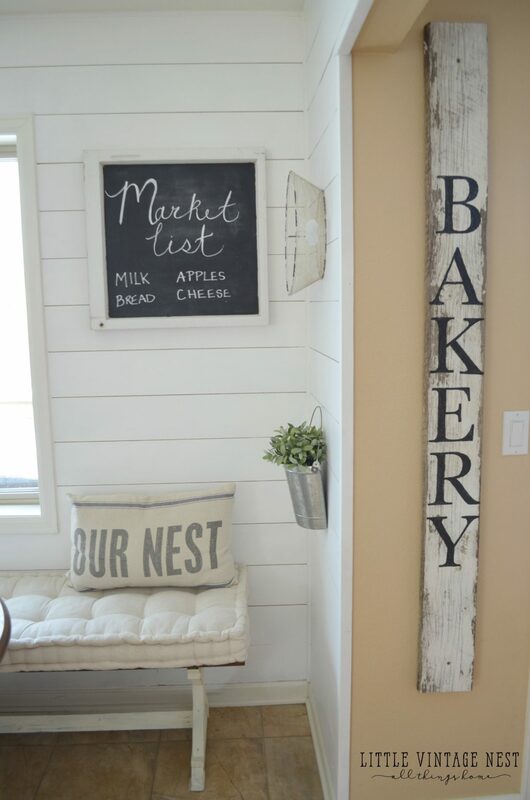 I love the texture and rustic look they add to this space. 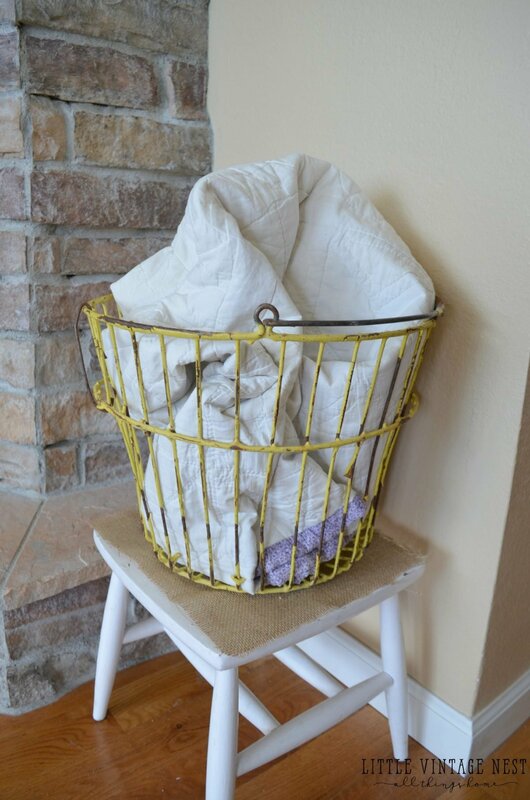 Another great alternative is this larger rustic style basket from Amazon–these would also be perfect for mud room storage. Can’t go wrong with a basket and a blanket. Or a basket and a few pretty bottles. I found an almost identical basket (with bottles!) on Amazon. 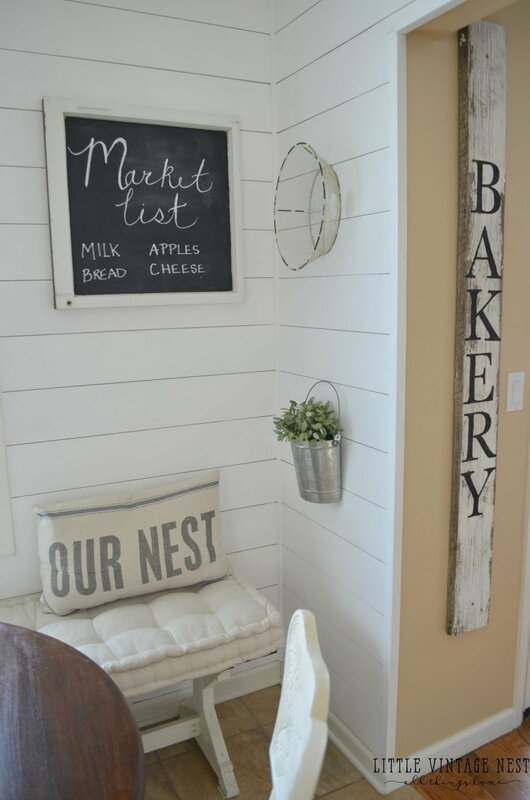 Or this basket and bottle combo that is also very farmhouse style! 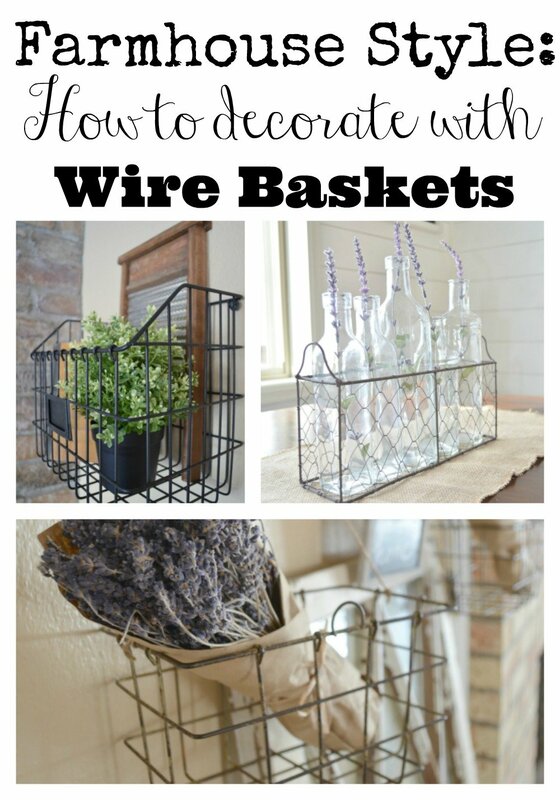 There ya have it–so many possibilities with a simple wire basket! I hope this gives you a little inspiration. Let me know if you have any questions and as always feel free to track me down on over in the lovely world of Pinterest, Facebook & Instagram. 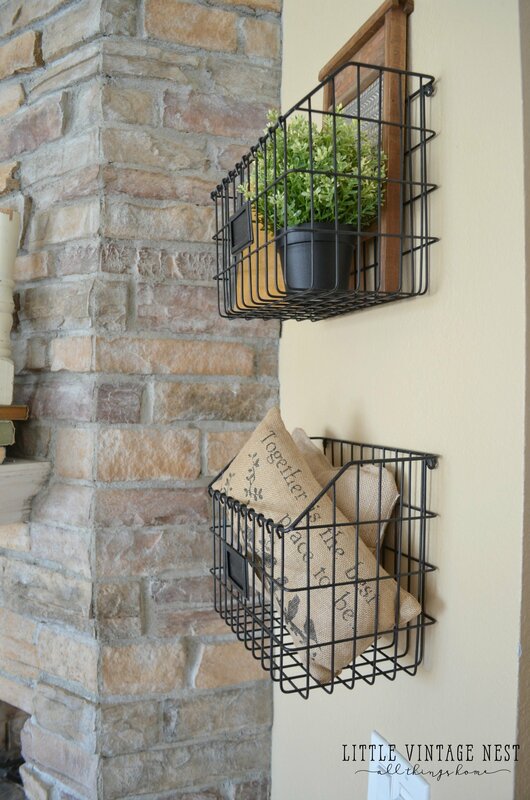 I want to go get some wire baskets now and hang them! You have inspired me! Great post, my friend! I need more!! I love that one you scored for $7! I love all of your baskets and your home! It is very homey! Love all of your baskets. I have been looking for ones similar to the ones you found at Hobby Lobby. Will have to check our local stores. Those are from Hobby Lobby! hi, what is the name of the stone on the fireplace? 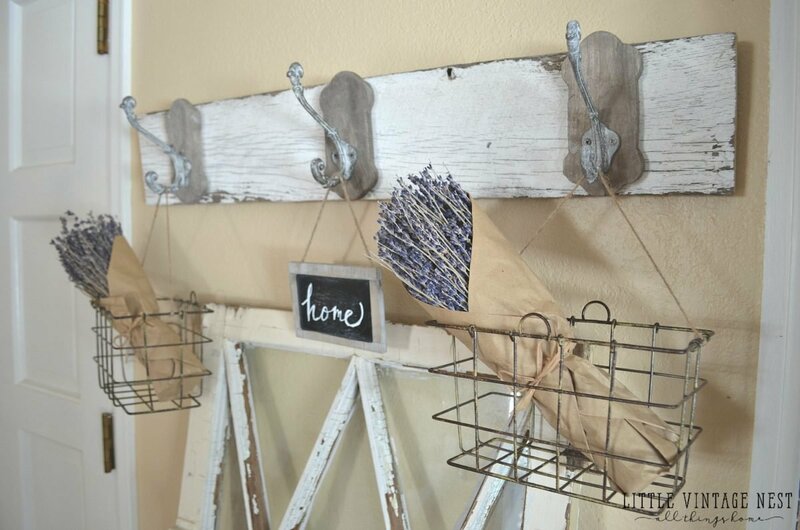 I love the hanging baskets and wooden crates that are going on walls now. 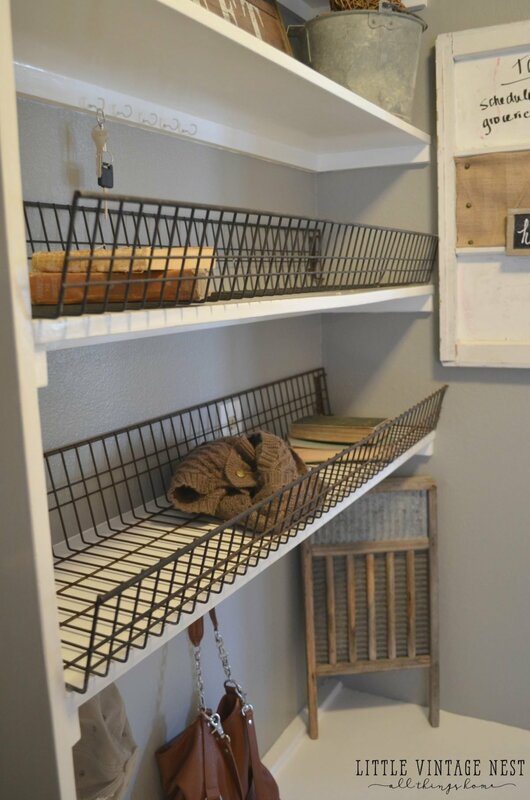 I have 4 baskets that have some weight to them that I’d like to put on my bathroom walls but I am struggling trying to find what to mount or hang it to wall. I got curtain rods but the studs don’t align for them. Any ideas?? ?